Today is a BIG day in our house! It is Grace’s first day of high school. 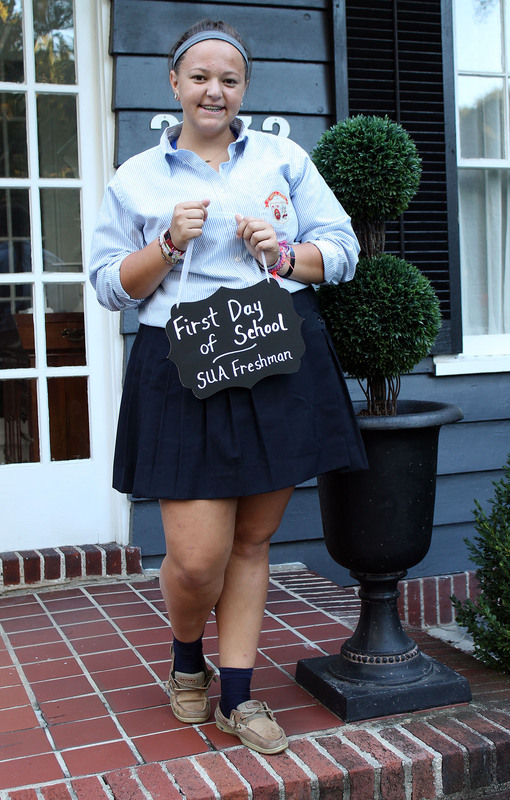 She is a ninth grader…a high school freshman. I’m still trying to figure out how summer flew by so quickly, let alone how she can be old enough to be in high school! The first day of school calls for a special breakfast treat! 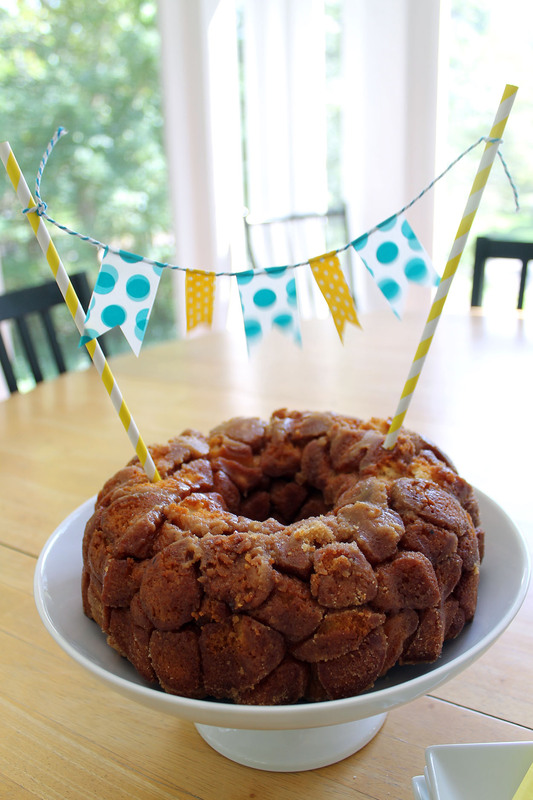 The tradition in our house is a monkey bread cake. This gooey combination of sugar and cinnamon covered dough eases any anxiety about the first day of school. To give the monkey bread an extra special touch for today, I made a small bunting for it using washi tape in my daughter’s school colors. I anchored the bunting into the bread using wooden skewers inside the paper straws for more support. 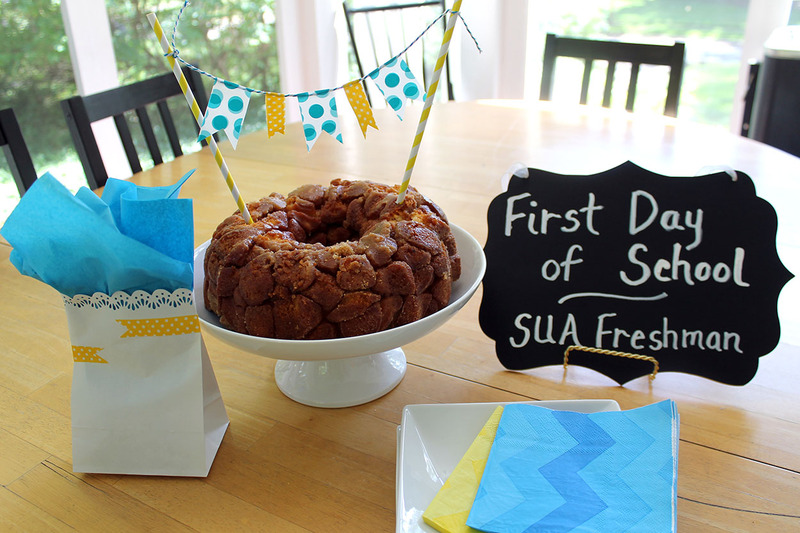 Such a simple way to make something a little extra special for the first day of school! I can’t wait to hear all about her day! 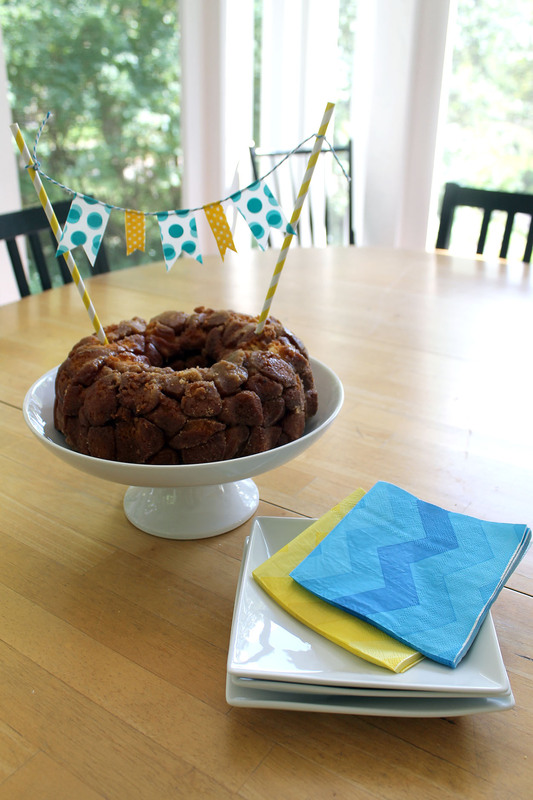 **To get the recipe for the monkey bread, click here. Beth, What a sweet, intentional little way to start your daughter’s year out with love! And I don’t know anyone that could have a bad first-day beginning it with a fresh plate of monkey bread! Thank you for these great ideas! I see more and more uses for washi tape, all the time! I need to take a page out of your book of craft expertise and put these neat little resources to use! Thank you for sharing all these great ideas! Thank you for your kind words! Starting high school can be a tough transition, but we are off to a great start to the school year!